Positive: Beautiful design; powerful hardware; light weight. Model: The Xiaomi Mi Notebook Pro (i7-8550U) is the 3rd notebook from Xiaomi and the largest and heaviest at almost 2 kilos, but also the most powerful. It is powered by the new 8th generation Intel Core i7 8550U, which makes it one of the first notebooks to receive the latest Intel chips. The case is not constructed as a unibody case but as a pressed metal case with a reinforced magnesium frame on the inside. The feel of the aluminium case is good, and it gives the impression of high quality although the surface seems to be more prone to signs of wear. Unfortunately, the only available color is slightly boring grey. The screen is like the other Mi Notebook’s a 1080p IPS with a glossy glass covered screen. Brightness on this panel maxes out at 360 Lux. The RGB coverage is 88 % out of the box before calibration. The bezels are slim on the sides, but up the top, there is still room for a web camera and dual array microphones of decent quality. 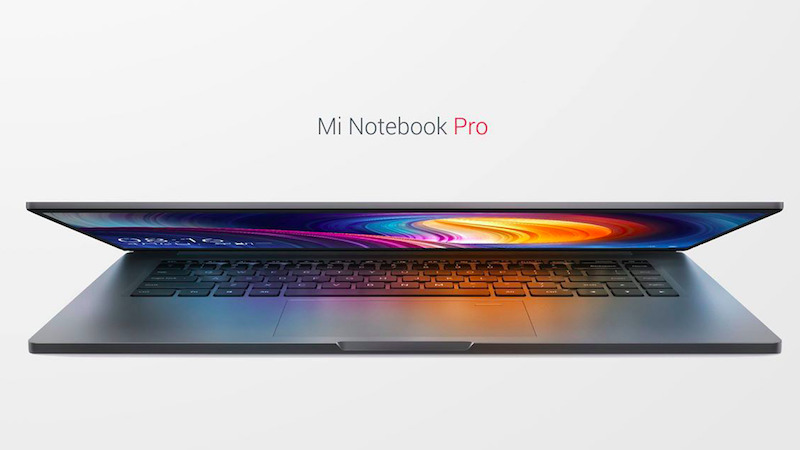 The Xiaomi Mi Notebook Pro i7 model is available with either 8 or 16 GB of RAM. 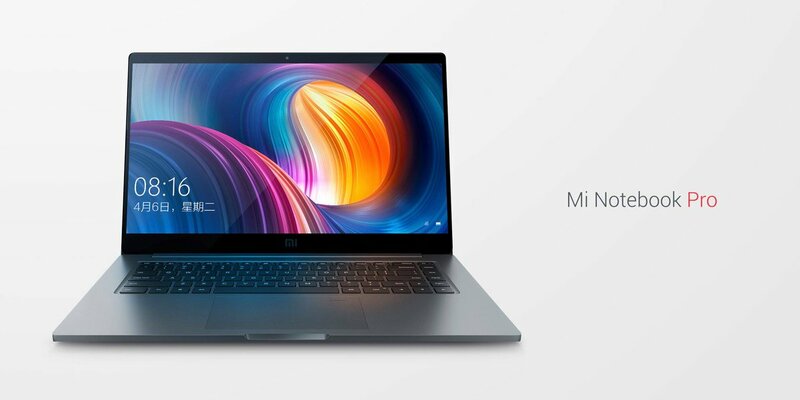 Apart from the integrated UHD 620 graphics chip, the Xiaomi Mi Notebook Pro also comes with an additional dedicated graphics card: The Nvidia GeForce MX150 with 2 GB of GDDR5 VRAM. With this graphics card, most games can easily be displayed in 1,366 x 768 pixels with medium details. Unfortunately, Xiaomi still only offers a 256-GB SSD. Luckily, users can insert an additional SSD for more storage thanks to the additional free M.2 slot. The keyboard is a nice step up over the Mi Notebook Air 13’s, each key is spaced out more, better feedback, the keys aren’t 100 % flat either they have a slight inward curvature with 1.3 mm of travel. They are backlit with only two settings, one or off. The plastics used also feels much better. The touchpad is big, not MacBook Pro huge but really great to use with Windows precision drivers, great accuracy and full Windows 10 gesture support of course. Within the touchpad there is also an Elan fingerprint reader, it works well and unlocks the notebook in an instant. The connectivity interfaces of this notebook are just adequate. However, if a user needs more, they will have to purchase the Xiaomi USB Type-C interface adapter which gives added interfaces like a Gigabit Ethernet port, a VGA interface and two USB 3.0 ports. Also available is the USB Type-A interface adapter which has a network port, a MicroUSB port, and three USB 3.0 ports. Overall, the Mi Notebook Pro is a great 15.6″ ultrabook that’s portable despite not being the lightest. It packs some great power, 8th gen CPU’s and dedicated Nvidia graphics. And that 60 Wh battery is good for up to 10 hours of surfing the internet. It could be good for users who are looking for a presentable laptop with good hardware specification such as business users. 86.83%: This is a good rating above average. Nevertheless you should not forget, that 10-15% of all notebook-models get a better rating.